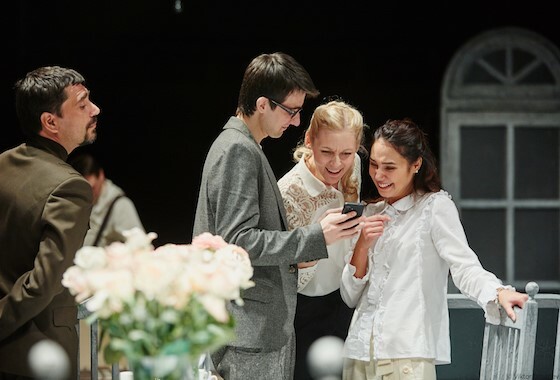 Anton Chekhov's The Three Sisters probes the lives and dreams of Olga, Masha, and Irina, former Muscovites now living in a provincial town from which they're desperate to escape. 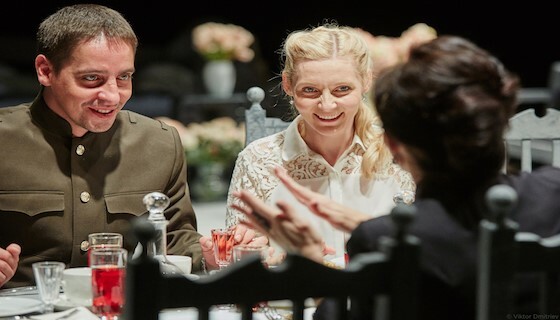 In this powerful play, a landmark of modern drama, Chekhov masterfully interweaves character and theme in subtle ways that make the work's climax seem as inevitable as it is deeply moving. 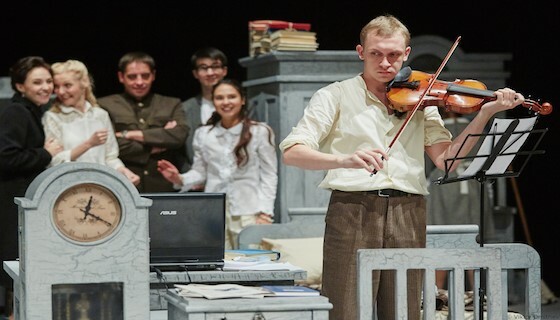 Timofey Kulyabin, the 32 year old wunderkind artistic director of the Red Torch Theatre in Novosibirsk, has taken this classic work and reinvented it as an epic parable about finding harmony through suffering. The entire cast, save for one, communicate throughout the performance solely in sign language. By doing this, the selfishness, isolation and lack of mutual understanding are dangerous and laden with disaster, the characters defenseless against a huge "sounding" world. Like a score, every scene is composed with sounds and noises. You can hear the wind whistling around the house, shrieking migratory birds, troops marching to marching music. Kulyabin's sensational and endlessly beautiful Three Sisters, already a hit on the stages of Vienna and Paris, is a feast for the senses, heightening all of them even as we lose some of them.